Last year's Palm Springs International Film Festival profiled the New Romanian Cinema with a sidebar that included 12:08 East of Bucharest, Love Sick, The Paper Will Be Blue, and The Way I Spent the End of the World. At PSIFF08 they followed through with this year's crop: the Oscar-snubbed 4 Months, 3 Weeks and 2 Days, California Dreamin' (Endless), Icons and an archival treasure screening of Lucian Pintilie's long-banned Reenactment, cited by many of the New Romanian filmmakers as influential upon their own work. Paraphrasing the PSIFF08 program capsule, Reenactment was a critique of socialist realism and a reflection of the cruelty of the Communist authorities. The film was banned because, according to one critic, "It was dominated by a sense of the tragic … and nourished by a profound civil and cultural awareness." It tells the story of Ripu and Vuica, students who celebrate one evening by drinking too much. They attack the bar owner and break a window. Days later, a policeman, a judge, and a film crew take them to the crime scene. Instead of spending time in jail, they must work as actors in a state-sponsored documentary about alcoholism where they will faithfully reconstruct the events of that day. Film historian and critic Milos Stehlik of Facets Multimedia in Chicago introduced this rare title. I want to thank you for coming for many reasons but especially because this film is a rarity. For those of you who give it what it needs, it will pay off in extraordinary ways. By that I mean, it's a film that requires work. Part of that has to do with when it was made. It was made in 1968. It's in black and white. The subtitles aren't perfect. They're sometimes very hard to read because they're white on white. It's very episodic. There's not a lot of direct plot action, it meanders around; but, if you give it patience, just watch the subtext. All of the relationships in the film come together in an extraordinary way; all the more extraordinary because it was made in 1968 in Romania by Lucian Pintilie, his second feature, and Romania then—until the overthrow of the government of Ceaucescu—was one of the toughest of the Communist states. For him to make a film which is obliquely critical—and that's the reason why you have to watch, because it's all in the background—of living in this Romanian wonderland/dreamland of Ceaucescu was really an act of extraordinary courage, for which he paid very dearly. 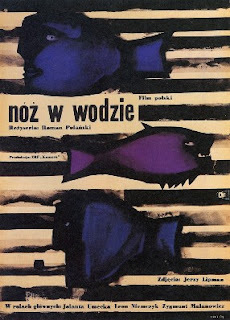 After being in the theaters for two weeks, the film was immediately banned and was not shown in Romania again until 1990, 22 years after it was made. Pintilie, whose background was as a theater director—an innovative, highly-respected, very acclaimed director of theater—went to Paris where he lived mostly for twenty-odd years before returning to Romania in 1990 after the overthrow. He was particularly known in theater as an interpreter of modern classics—Chekhov, Ionesco—and he worked in this country also at the Arena Stage in Washington and the Guthrie Theatre in Minneapolis, where he directed some notable theater productions. Part of what distinguishes Pintilie as a filmmaker [involves] returning to when the film was made in 1968. Coming to Romania at the time [was] all of the influence of the French New Wave, which had taken place some eight-nine years earlier. [Reenactment] stylistically broke with the traditional dramatic form of Romanian cinema. It was a film that—if you look at it in this way—really exhibits a great deal of dramatic freedom, just the way that it's constructed, because it's one situation that basically takes place in this strange [bar] by the river. The situation is strange. It's two young men who were caught in a brawl in a bar who were convicted and who—as punishment, because it's their first offense—are asked to reenact this brawl [that] they engaged in, which is going to be filmed as education for the rest of Romania not to drink and get into trouble. These two young men are the main characters, along with the prosecutor who is there to supervise [the filming]. The film develops in minor episodes, very observational, almost documentary-like. It was something new and innovative, not only for Romanian cinema but for world cinema in retrospect and harks back to the French New Wave and—for those of you who know, perhaps—to the films of Jerzy Kawalerowicz of Poland in the early days, the first film of Polanski Knife in the Water, this kind of absurdist irony and oblique way of looking at the society, this trapped society in which the Romanian people are living. [Reenactment] was a potent metaphor, which was not lost—not only on the Romanian public—but obviously also not on the authorities who immediately pulled it, banned it, and—as a result—Pintilie left [Romania]. He is [currently] 73, and many of the young Romanian filmmakers in the hot new Romanian cinema owe a lot to Pintilie. Part of his generosity is that he's been quite encouraging to the young filmmakers. He's served as a producer and advisor to their films. He is, in a way, a spiritual father of this New Romanian Wave that exists today and Reenactment is really the first step, the first single milestone, that started this [new wave] almost 30 years ago. As a filmmaker and as a theater director, Pintilie is also well-known as being a careful director of actors. He's an actors' director. He spends a lot of time with them. He's very precise and meticulous and I think you will see—if you watch carefully—the performances that he gets from his actors are very naturalistic, almost like documentary realistic truth. Part of the stylistic choices that he makes involve a picture of society which is quite complex. It's not just black and white, good guys bad guys, bad Communists or non-Communists, but people who—in their human actions—betray each other. Ultimately, this is what leads to the collapse of society. It's not just the Socialist regime. The Socialist regime, in Pintilie's view, is there because of the people. It's the people who create that regime. It's the people who keep themselves [enchained]. For the daring film that it was, I hope you approach it with the same amount of courage with which he made it. It's a film that's been [rarely] shown and it stands as a great testament to the work of a major filmmaker who's in his 70s now. He's made 13 films. Thank you for coming. I hope you enjoy it and remember it because it can be a powerful, transforming experience.